739 Examinees out of 1,247 passed. The No.1 Mechanical Engineering school is Batangas State University. All of its 84 examinees passed. 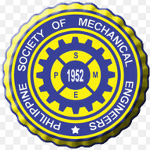 127 Mechanical Engineering Shools participated in this examination. later than March 20, 2015.